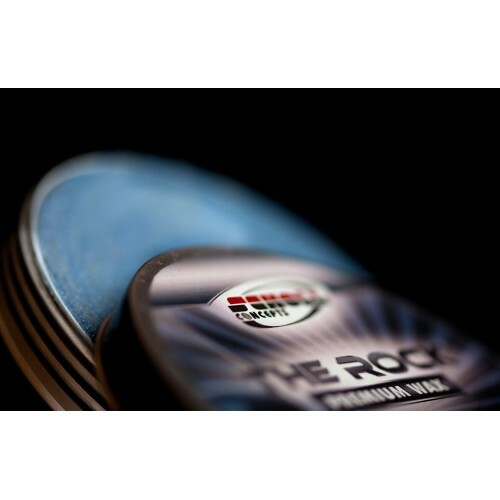 In 2012, Scholl Concepts celebrated its 50th Anniversary with the launch of two exclusive handmade waxes - Vintage and The Rock. The waxes contain the most expensive and high quality natural raw materials for the very highest demands in regards to paint sealers. 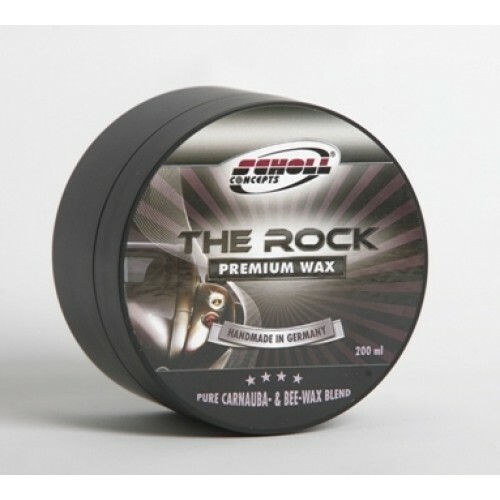 The Rock Premium Paste Wax is made with the highest quality Brazilian Carnauba by expert hands in Remseck, Germany. Thanks to its unique formula, a relatively high and dense layer of wax can be applied evenly without any effort onto the paint surface. 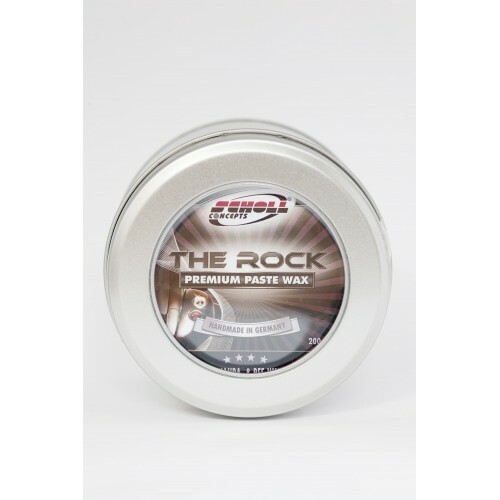 This natural and crystal clear wax-shield protects the paint from the elements and leaves a mirror-like, deep, rich gloss. 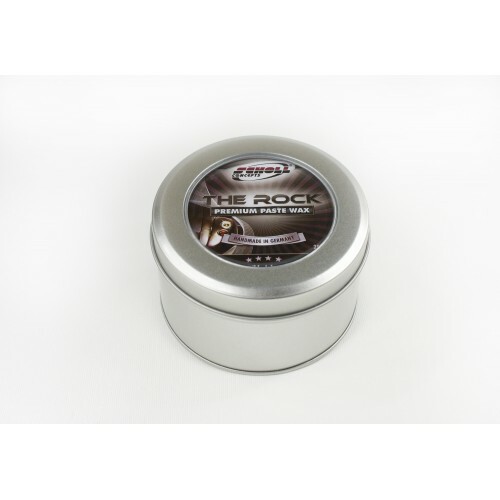 The Rock is a premium wax suitable for all vehicle types that gives four-star rated protection and is beautifully scented with Fresh Fruit. 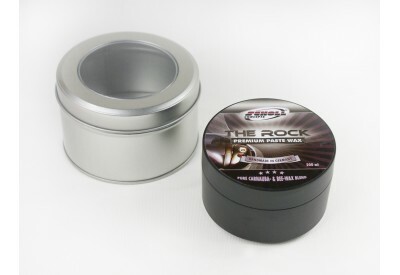 The wax container is packaged in a stylish presentation tin.